Yo-ho-ho! Git over hump day at our Pirate Party! 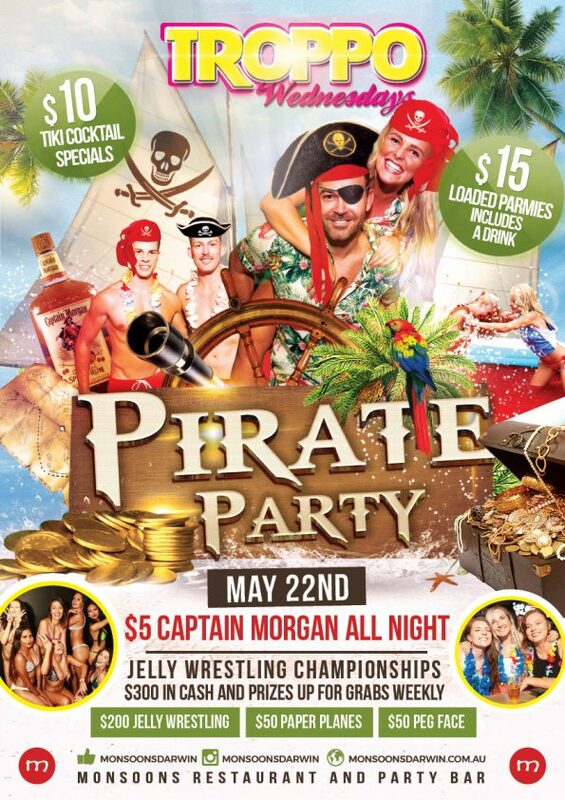 We’re talking $8 Cap’n Morgans all night long, jelly wrestling championships, $10 Tiki grog specials & $15 loaded parmies & drink. & of course, they’ll be epic cash prizes to be won all night long. Guaranteed good times all round, don’t be a fool, head on down this hump day.